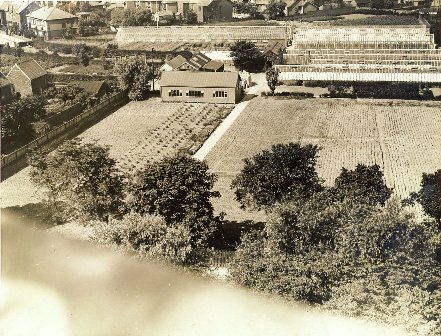 In the 1920s Cartmell's had a Florist shop in St.Annes Square and their greenhouses and market garden was on Heyhouses Lane, St.Annes. At some later date they moved to Headroomgate Road. This view was taken from St.Annes Parish Church, looking west, across Headroomgate Road, with houses in Glen Eldon Road to the top left-hand corner.